The Vego Whole Hazelnut Chocolate Bar - 150g product ethics are indicated below. To learn more about these product ethics and to see related products, follow the links below. Definitely one of the best vegan chocolate bars out there that tastes like milk chocolate. I buy these bars in bulk now as they eliminate any craving I have for dairy chocolate. It is rich and dense so I never really want more than one square. Every whole hazelnut tastes high quality too. And with NO palm oil?! Miracle product. So happy this exists. Their Nutella alternative is perfection too. The BEST vegan chocolate ever! In fact the BEST chocolate ever! Buy in bulk as Vego is absolutely delicious. Tastes best when chilled in the fridge. 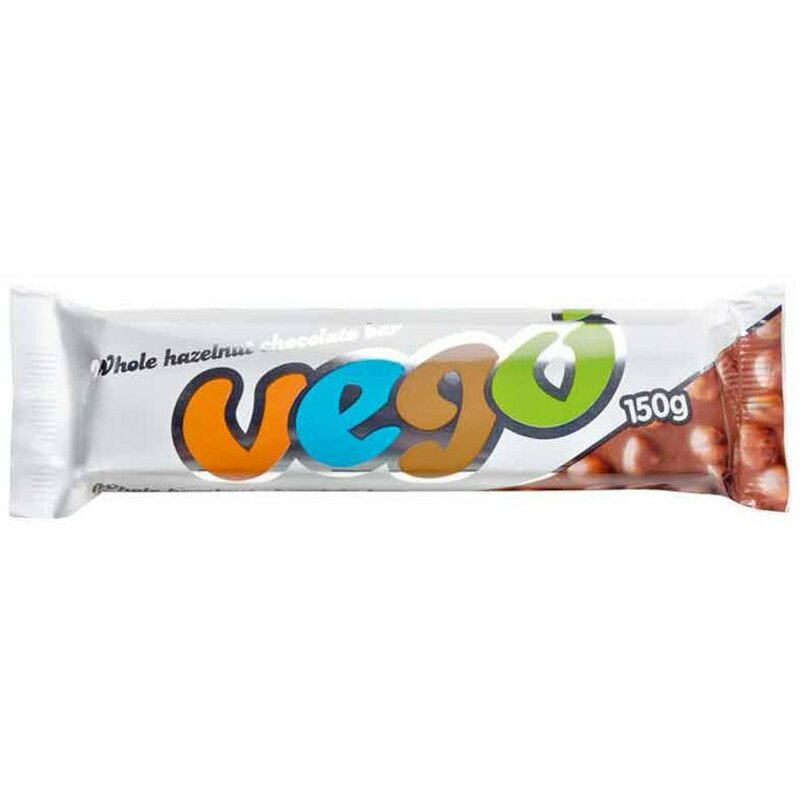 There are currently no questions to display about Vego Whole Hazelnut Chocolate Bar - 150g.